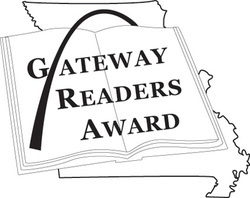 The Missouri Association of School Librarians created the Gateway Readers Award Program to encourage reading by introducing quality literature to the high school students of Missouri. Each year a list of fifteen books is chosen by a large group of readers which includes librarians, teachers, and students. Voting will occur each year between March 1st-15th. Students in grades 9-12 who read at least three of the nominee books are eligible to vote.